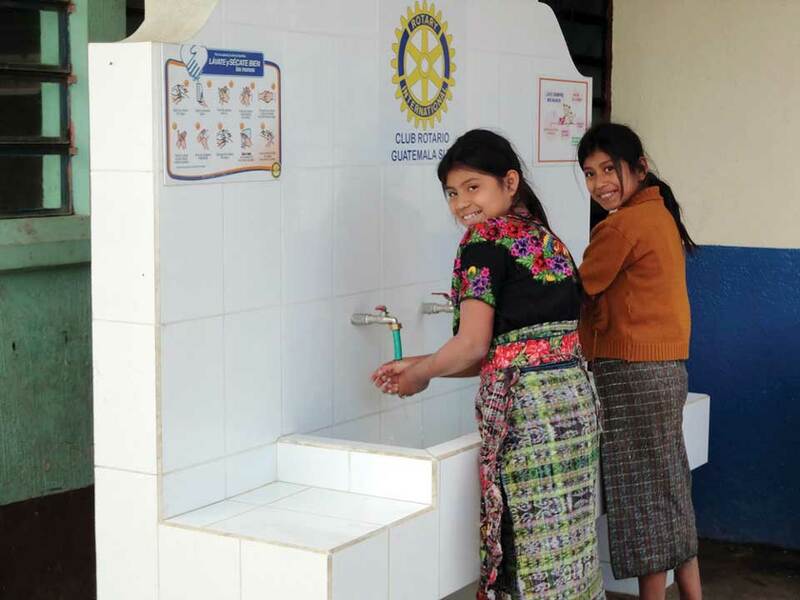 Rotary International spearheads improvement projects in Sumpango’s elementary schools. Guatemala’s Sur Rotary Club has taken on several projects of great benefit to communities throughout Guatemala. 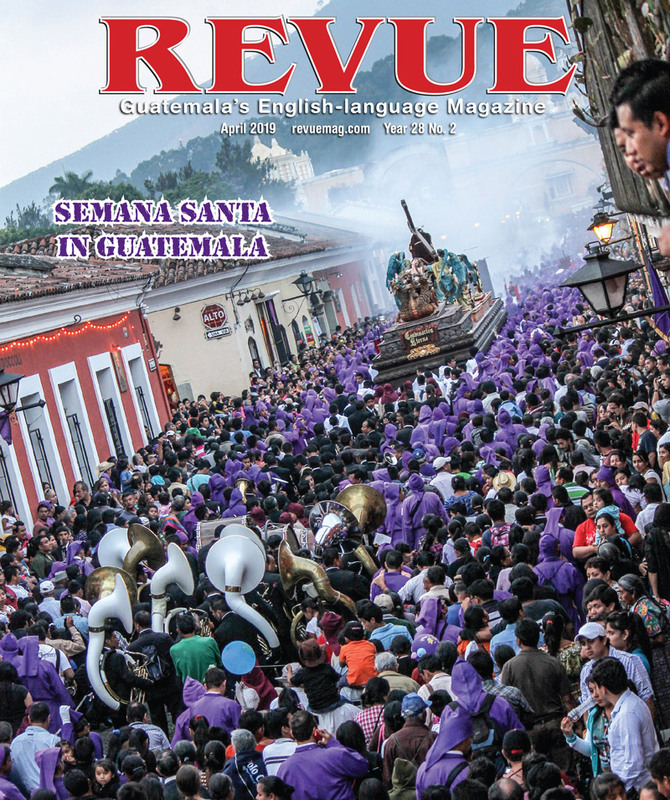 Under a new model called Future Vision, Rotary International has concentrated its efforts in the town of Sumpango, aiming to create a development model that can be replicated elsewhere. 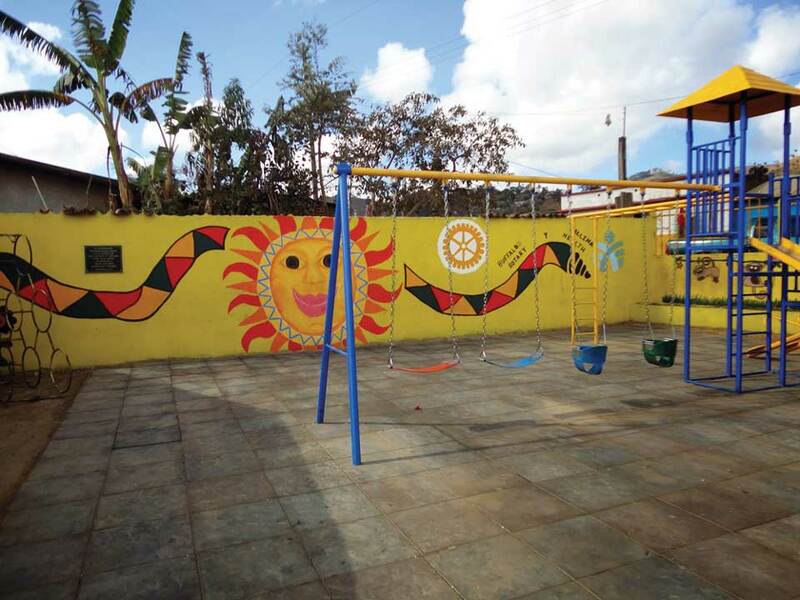 The project covered nine elementary schools in each village of Sumpango, Sacatepéquez, 26 miles (42km) from Guatemala City. Over 4,000 children will benefit. The primary objective was to equip each school with adequate sanitary facilities, potable water, toilets, sinks and proper sewage disposal. Kitchen improvements were made so mothers can prepare their children’s snacks for school. Before the project began, most schools had unhygienic facilities, some without water, others with contaminated water and/or an irregular water supply. One school had no bathrooms, water or electricity. Some of the drains had been released into the ravine. Latrines and toilets were in disrepair. The kitchens were dark and poorly ventilated, allowing smoke to fill the room and making breathing difficult. Inefficient traditional stoves used excess amounts of wood. Even though, mothers were accustomed to this environment, which is common in rural villages throughout the country. supply, and water filters have been added. The bathrooms are now adequate, and all have standard working toilets and sinks. The kitchens now have a pila for washing dishes and pots. With new windows and in some cases plastic windows, there is ample illumination. The stoves are all eco-friendly, so firewood consumption as well as cooking time has been significantly reduced. And, smoke no longer accumulates in the kitchen. To what do we attribute the success of this project? The fact that all who were involved have helped throughout the project is probably the most important measure of success. Those involved have been the municipality of Sumpango, the mayor and council, deputy mayors, school principals, teachers, parents, Cocodes, Rotary Village Corps Group Sumpango, members of the Rotary Club of Guatemala (Sur Rotary) and District 6440 Chicago, Ill. Their involvement began at the planning stage and continued until completion. The community provided unskilled workers. The municipality provided development plans, skilled laborers and supervision. The Rotary Club visits the schools weekly to check on progress, the quality of the work and for decision-making, taking into account feedback from teachers and mothers. 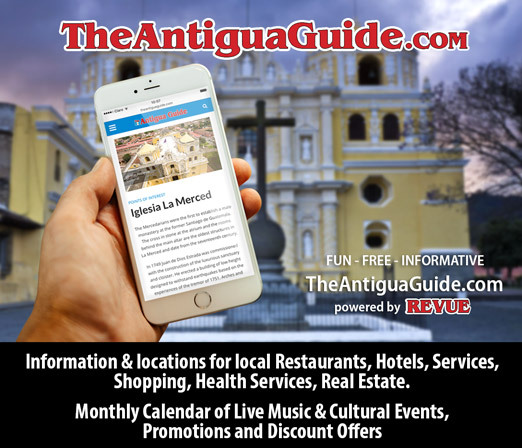 Regular meetings are held with the mayor and council. Rotarians from District 6440 Chicago have also visited. Besides bathroom and kitchen improvements, education has been needed on the proper use of and maintenance of the bathrooms, the washing of hands, and the use of soap. The schools’ infrastructure was improved so that learning can take place in an adequate environment. Initially, plans were made to buy desks and tables, but we were able to repair most of them. What would have been scrap was recycled into new desks. Bookshelves were also provided for the classrooms. Then there was the lighting factor. Windows had been open, and plastic windows replaced the galvanized metal sheets. All electrical wiring was checked, the lamps were fixed, and fluorescent tubes or incandescent bulbs were replaced with energy-saving bulbs. As for roofing, the metal laminas in poor condition were replaced and all leaks were plugged, windows were repaired and any broken glass replaced. Of the nine schools only one had a functional computer classroom. Another school had computers but no electricity, which we were able to provide. At the other schools we installed an average of six computers per classroom with the proper electrical installations. A projector and a sound system were also installed. Finally, together with parents, teachers and Rotarians the whole school was painted. We tackled other tasks simultaneously in Sumpango, coordinating with organizations such as the Foundation Ramiro Castillo Love, Conalfa, Link, MAGA and others. Additional projects are about to start. With this effort the entire population of Sumpango has been benefitted so that its townspeople can be better educated, healthy, productive and self-sufficient.